The Hose Increaser has hose threads on both ends with the male thread always larger than female thread. Available in sizes 1 1/2" through 4". 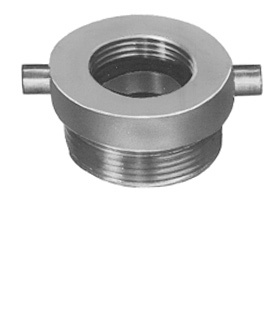 Standard pin lug wrenching feature with rocker lug available in limited sizes.